It's taken 15 months but at last I can be a member of the forum and include the rider part. I'm at the ridding and tuning stage now it takes me back to a time when you could get back on the road with a packet of cigarette papers and a screwdriver . 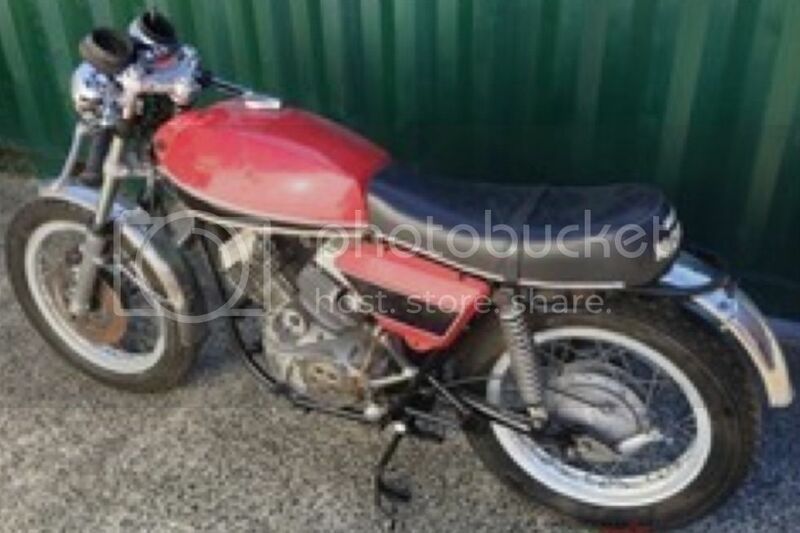 It's a interesting bike to ride it loves to get thrown into corners preferably with maximin revs applied any thoughts of this bike helping to preserve my licence have disappeared. Morinis & Motorcycles - Is there anything else? Very nice , any more photos????? Very nice looking bike, my favourite sport model. Regards Pete. Thanks for your comments not very good with the resizing photos but will have a go at soon. I downloaded simple resize from the Apple Store on to my I pad seems to work ok, easy to use. Regards Pete. Got some new caps for shocks and seals for forks oh and dust cap new oil a bit of polishing and they were done. Now the bit I was dreading the wiring .haveing never done it before apart from the odd plug I started small with the switch gear. My one saving grace was I had something to copy I took my time and bought some good wire stripers and crimpers. 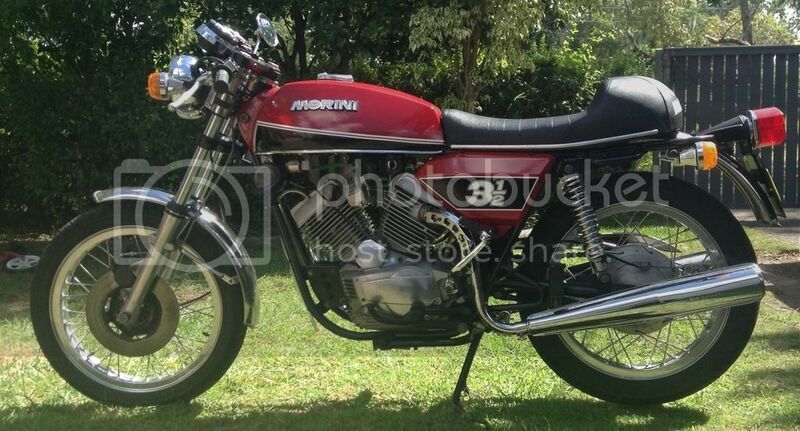 Next the tank and side panels sent away for respray .bought seat from Italy .